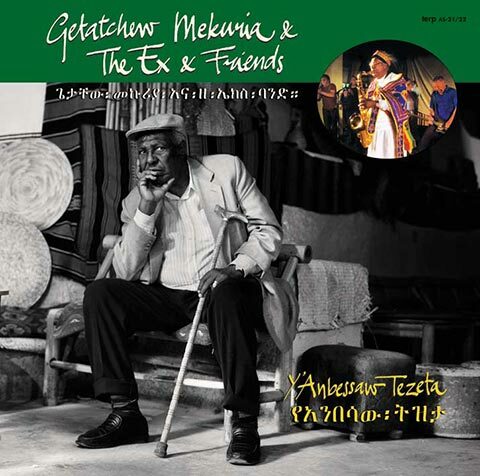 Double LP “Y'Anbessaw Tezeta” by Getatchew Mekuria + The Ex + Friends will be released on Terp Records on 21 October. 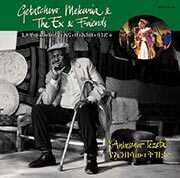 2 x 180 grams vinyl including second LP with Getatchew Mekuria + The ICP Orchestra, Haile Selassie 1 Theatre Orchestra and live with The Ex, plus a 48-page photobook with great new photos from Matias Corral and many other photographers. The Ex: Arnold de Boer (trumpet), Terrie Hessels (guitar), Andy Moor (guitar), Katherina Bornefeld (drums). Friends: Xavier Charles (clarinet), Ken Vandermark (baritone saxophone, bass clarinet), Brodie West (alto saxophone), Joost Buis (trombone), Wolter Wierbos (trombone), Colin McLean (bass), Melaku Belay (dance).